Fit your Garmin Varia Tail Light or Radar to practically any seatpost whether oversized or aero-shaped with this Universal Quarter Turn Mount. 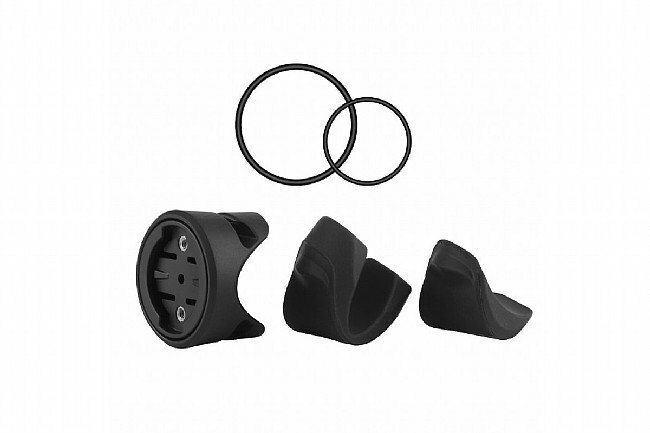 Includes quarter-turn mount base, round adapter, aero adapter, and 4 attachment O-rings. Eyes in the back of your head! This product is a total game changer. I really don't know how I ever rode without one. I live in Houston and it can be a bit scary at times getting buzzed on the surrounding country roads. The Varia lets you know when a car is approaching so if you're taking up a full lane, rotating in a paceline, chit-chatting side by side, etc. it allows you to time to make (or not make) a move. The integration with my 520 is perfect and not visually distracting or cumbersome on the screen. You need one!!! !